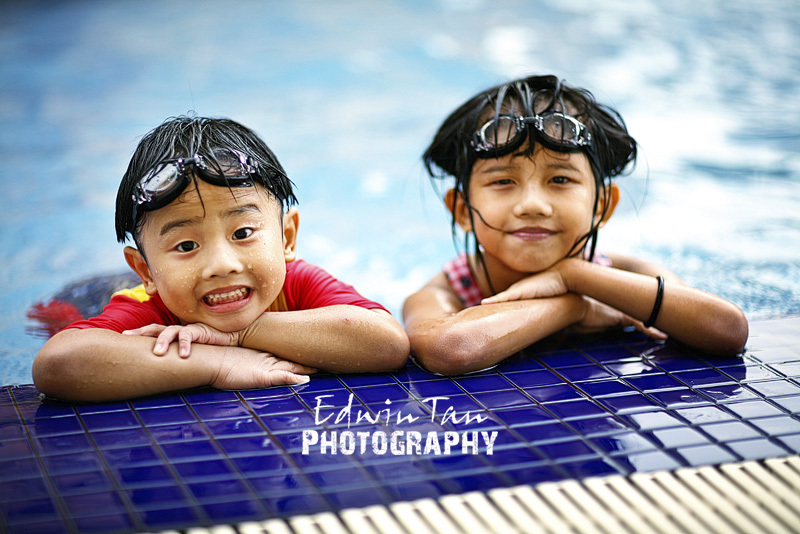 This afternoon, after back Kuching Trip with Jospeh and Wan Yee’s Prewedding shoots during weekend, I brought both Amanda & Benjamin to our swimming pool which I have arrange earlier with the swimming teacher, Elise for their 1st ever swimming class. 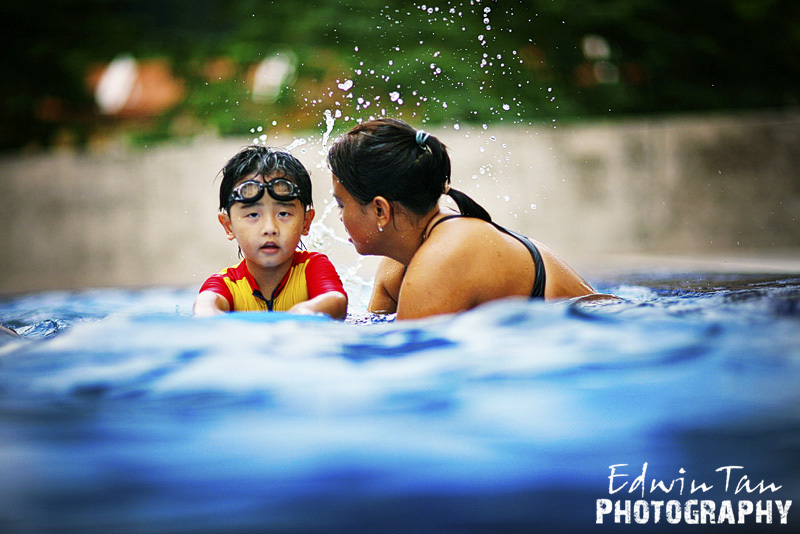 According to my neighbour Sarah who initial the swimming classes for her son Daniel, Elise is our national swimmer. Lets hope they can learn from her. 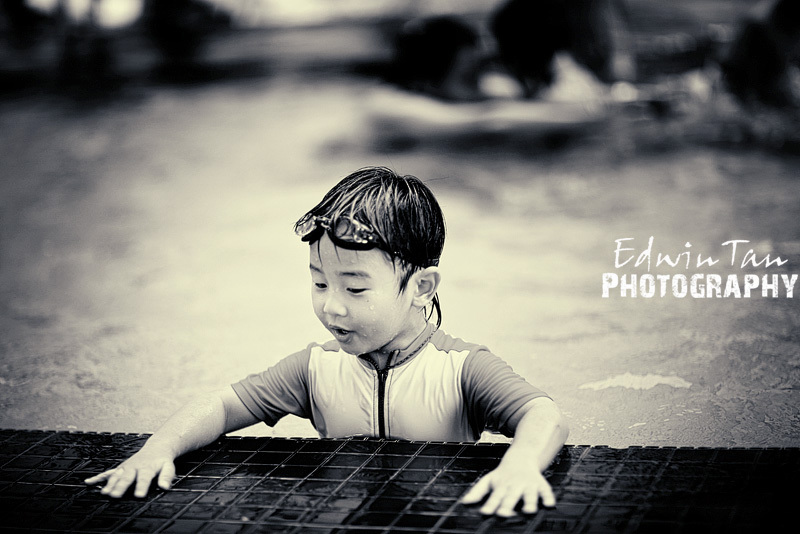 I told them, one day if your daddy is drown, make sure you know how to save me. One Fortune Teller told me before that when I was old, I might died because of water..hahah,but of course that is not the reason I send them for swimming classes. Most important, this is a good exercise for them especially they are weak and easy to get flu and cough, this will help them o build up a stronger body and healthy life style. yee - great shots! lovely kids! Ashley - Ed!!! Thanks for sharing such lovely photos of your sweetest children!!! Hehehe. Do share more in the future. Mimi - great album Ed!